Blue gill. Credit: NOAA, Great Lakes Environmental Research Laboratory. With this edition of the GeoHEALTH Newsletter, we are pleased to present a new format. In future issues, we will occasionally feature specific topics of interest to our subscribers and we will continue to summarize our most recent science results and products. 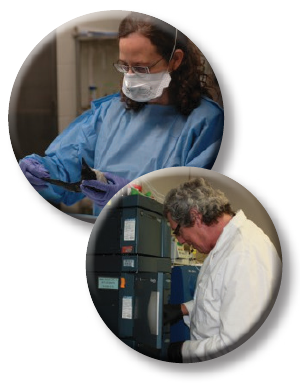 In this issue, we introduce you to the U.S. Geological Survey (USGS) science teams and core capability teams that are supported by the Environmental Health Programs. "Everything we do is designed to safeguard the Nation’s health, economy, and resources." 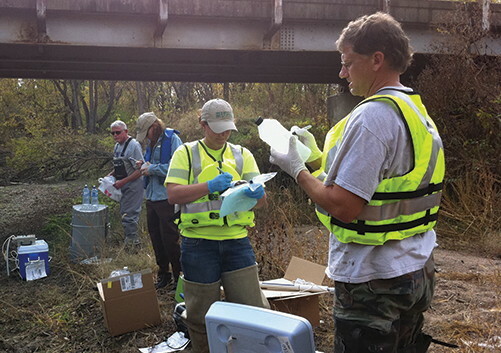 USGS Environmental Health Science is led by the Contaminant Biology Program, which was started in the Fish and Wildlife Service in the 1940s, and the Toxic Substances Hydrology Program, which was started in 1982 in the USGS. 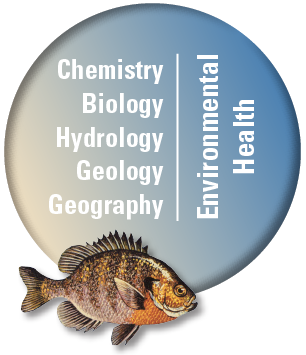 These programs were brought together in the 2010 USGS reorganization to form the Environmental Health Mission Area. The programs now work together, with other USGS Mission Areas, and with many external collaborators to study contaminants and pathogens in the environment. 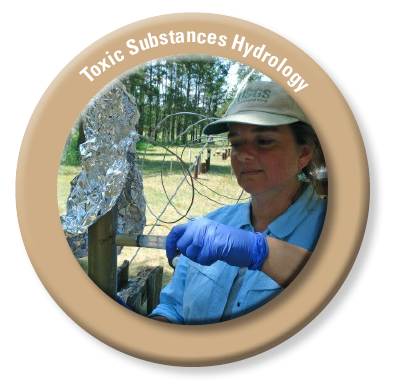 The Toxic Substances Hydrology Program supports specialized teams of hydrologists, geologists, geochemists, geographers, microbiologists, and analytical chemists who develop and apply advanced laboratory methods and field investigations to understand how contaminants and pathogens enter and move through the environment. 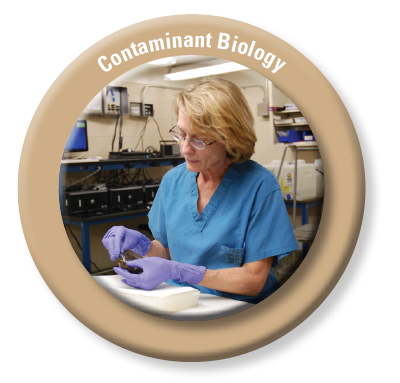 The Contaminant Biology Program supports specialized teams of toxicologists and biologists who develop and apply advanced laboratory methods and field investigations to understand how contaminants and pathogens in the environment affect the health of insects, fish, wildlife, and domestic animals. 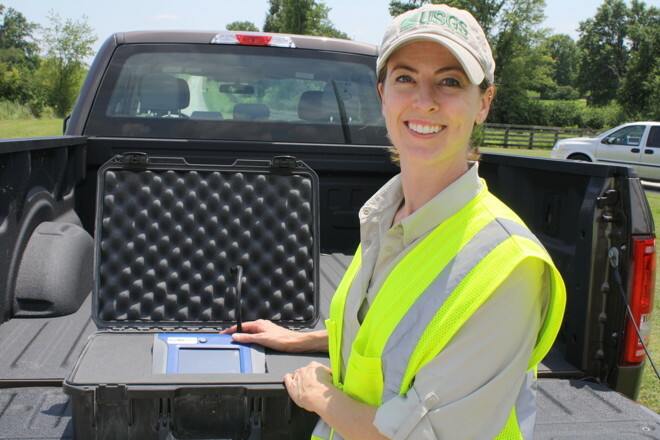 USGS environmental health science fills a unique role in the Federal Government. As a science agency, the USGS does not create regulations or policies—rather, it provides science that helps inform effective regulations and policies. USGS environmental health science leverages expertise from across the USGS, bringing an interdisciplinary approach to answer science questions that are not part of the missions of other Federal agencies such as Department of Interior agencies, other land management agencies, National Institutes of Health, Centers for Disease Control and Prevention, and the U.S. Environmental Protection Agency. Our non-regulatory science provides Federal, State, and local government agencies, the private sector, non-governmental organizations, other stakeholder groups, and the public with answers to questions about the actual risk, not the perceived risk, of contaminants and pathogens in the environment. For example, hunters and anglers want to know if contaminants or pathogens in the environment are harming fish or game, and whether these animals are safe to eat. When land resource managers use chemicals (for example, to suppress dusts or wildfire or to control invasive plants and animals), they must understand if these chemicals pose hazards to the health of the public, fish, wildlife, or vegetation. Other Federal agencies’ policy or regulatory missions do not always encompass the science needed to make these decisions. Without clear answers to these and similar questions, media attention to and public fears about potential health impacts from contaminants and pathogens often lead to litigation, economic uncertainties, and uninformed decision making. Scientists supported by USGS Environmental Health Programs collaborate as part of science and core capability teams uniquely qualified to understand actual as compared to perceived health threats to fish, wildlife, insects, livestock, pets, and humans from environmental exposures to contaminants and pathogens. 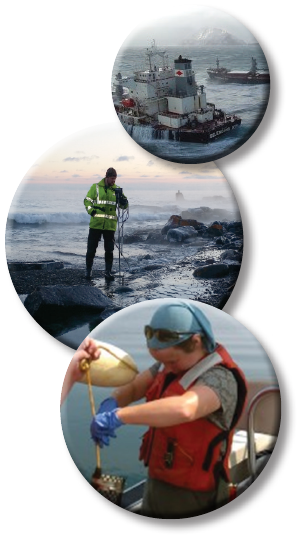 The science and core capability teams also work collaboratively with our external stakeholders as well as other USGS scientists in the Water, Ecosystems, Energy and Minerals, and Natural Hazards Mission Areas. These collaborations serve to expand science scope by leveraging shared resources throughout the USGS. All photos are from U.S. Geological Survey unless otherwise noted.